State transportation officials agree that a burst water pipe likely caused the Skagway ferry dock to sink last month. 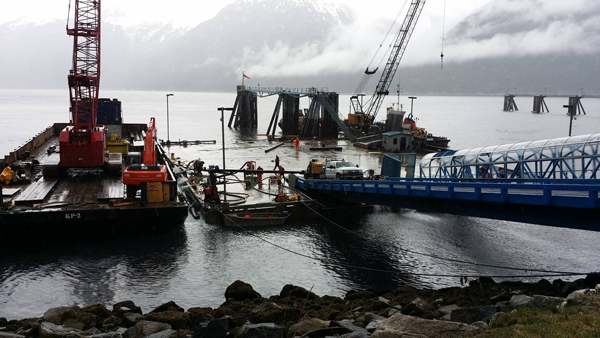 Repairs continue in hopes of getting the dock operational and returning ferry service to the Southeast community within the next week. The state is making repairs and some modifications to the dock now that it’s floating again. Department of Transportation spokesperson Jeremy Woodrow says it’s not yet known how much the salvage and repairs from the sinking will cost the state. Woodrow says the state is hoping to resume ferry service to Skagway on May 11. A final decision on that timeline will be made later this week, he said.